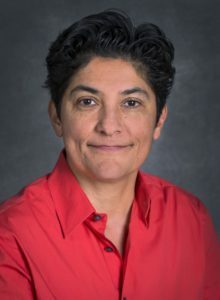 Dr. Rosío Alvarez is CIO at the Lawrence Berkeley National Laboratory. In this position Dr. Alvarez oversees a division that serves the computational needs of scientists that carry out $.9B worth of energy research. The portfolio includes business systems, high performance computing, cybersecurity, telephony and networking, Recently, Dr. Alvarez served as the Senior IT Advisor to the Secretary of Energy and in this role provided policy development and risk analysis advice for cyber security and IT for a $20 billion department. Dr. Alvarez was also appointed in 2013 by the California Governor and Controller to Chair the State of California Task Force on Re-engineering IT Procurement for its $4.5B portfolio. Previously, Dr. Alvarez was Associate Chancellor for IT at the University of Massachusetts Amherst overseeing the computational services for 30,000 users. Dr. Alvarez also served as faculty in the business schools at the University of Washington and University of Massachusetts and has published in leading academic journals.